Earlier this month, Reuters reported that Spotify's lobbying efforts were encouraging regulatory bodies in Washington D.C.—including the Federal Trade Commission and antitrust committees in the House and Senate—to investigate Apple on the grounds that it encouraged anticompetitive practices through its app store. Billboard reports that Minnesota Senator Al Franken sent a letter to the Attorney General and the head of the FTC encouraging them "to examine Apple's current dealings with app developers to determine whether the company is engaging in anticompetitive behavior in the music streaming market." "I am concerned about certain business practices that have the potential to limit choices and raise prices for consumers," he wrote. 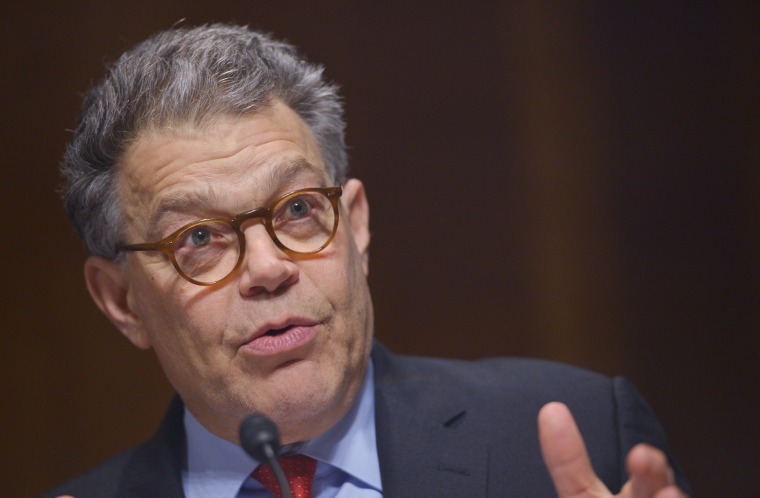 Franken holds a seat on the Senate antitrust subcommittee. Franken called Apple "one of the most innovative companies of our time," "world-renowned for producing high quality products and offering excellent customer service." However, "Apple currently charges a non-negotiable 30 percent fee on revenues from in-app purchases made through apps operating on Apple devices." The senator argued that, "These types of restrictions seem to offer no competitive benefit and may actually undermine the competitive process, to the detriment of consumers."